What seems more likely: water gushing up through the hawse pipes and wetting the deck forward of the breakwater (the whole point of which is to break water and prevent it from flowing to the rest of the deck) combined with general bow spray to create a frequently wet and reflective surface, or a captain who decides on his own to implement a new camouflage measure that's not supported by any precedence or documents? Lacking additional evidence, it seems to me the simplest explanation is the most likely. I would want more photos before being happy with either option, however. Luxury we dont have, sadly. The well known photo of KGV with heavily worn paint was due to some problem with that particular mix. Perhaps it was applied in sub-optimal conditions? Who knows? Being the hull, it would have been impractical to do anything about it until return to port, which they indeed did pretty much immediately. The new coat appears to have worn much better and you don't see a repeat of that condition in future. With my original comment, I merely wished to point out that the light/dark deck problem has occurred with other ships, including of this class, and often the reality has proven to be a damp deck producing a visual effect contrary to the reality. Damp wood can appear much darker or much lighter, depending on viewing angles, sun position, atmospheric conditions etc. Without additional photos from slightly different angles, it's not possible to make a positive determination of what we're seeing here. However, given the evidence of the other photos posted, my 'gut' reaction is that the deck area in question is no different than the rest, just that the relative angles are giving a strong reflection. I would want more photos before being happy with either option, however. A photograph is an instant in time. Our impression of how something looks is simple projection. Just because the dark decks "look" lighter in a picture means nothing. I thought the KGV's were designed to fire across the bow at low elevation (never required?) less shear, wetter decks. Wet decks can look lighter due to the location of the sun & the angle of the exposure. Rounded turrets photograph "lighter" in many pictures, they are not! .... This was the Royal Navy - who considered themselves the finest Navy in the world and certainly the most oldest and most experienced. The pride in that service amongst the Officers particularly cannot be overstated. THanks James for taking the time to look into it. So basically youre saying Royal Navy arent sloppy enough to allow sailing with a half concealment measure in place, and if paint peels - they just paint the bloody thing every day till the supplies run out. To that point I would say too many british warships were looking a bit scruffy at the end of their deployment (hulls in particular) so their care to concealment took back seat sometimes, your point here about their discipline is a bit off at least on these occasions. The famous KGV pic in color shows here in a very worn state for example. And to the point of the picture that clearly shows the bow unpainted (i disagree it is reflection) - you say this is paint being stripped from the deck rather, not the ship just sailing about like that just on its own. Did I read that correct? I think he's saying you may be seeing a reflection forward of the first breakwater. What doesn't make any sense is having the area ahead of the breakwater deliberately a lighter colour. There is no concealment or confusion advantage at all to be gained from from doing that, and no credible means for water action to have so neatly paint stripped it. The only plausible explanation I can think of would be if the crew had started stripping back the darkened decks to bare wood again but had to put to sea shortly after they started and that would limit it to a fairly narrow time window before the Captain wanted it sorted out one way or another at the next opportunity. The second photo above shows an apparent lighter appearance back to the fwd breakwater. The first photo shows a lighter appearance back to P1 5.25" mount. You may be seeing an ongoing stripping work in progress. The explanation I have seen that I also found believable is that because the ship was constantly wet forward of the first breakwater , they basically gave up on painting it. Simply put, it was just a pointless thing to paint there as paint only held few days anyway. Now, is that more plausible then your explanation for witnessing a paint being stripped - photo nr 2 above is dated from 44, and one before that (two lighter sections) is 43. So none of it really makes sense, but I certainly wouldnt go and claim that unpainted forward section is ahistorical. It was like that for some point in time. Why would they all strip the paint from the bow? Why not all at once? why start at the bow? Too many unknowns ... It seems you guys havent seen these photos and still trying to explain away what you see using your own theory on it being a fantasy of modelers in the past. I think the whole thing is at least an open question, not a case shut. I disagree entirely there. Giving up on painting could only be suggested by someone who comprehensively misunderstands the Royal Navy's whole culture. The KGV class was no wetter than any other ship. All fast ships were wet forwards including all the American capital ships. There are other examples from the KGV class with darkened decks which did not exhibit this as a problem. If it was a real problem and not fantasy, there would have been many examples of it on British capital ships and cruisers but there aren't. Furthermore, if it were a real problem it would have been complained about in letters to shore, and to my knowledge there aren't. There is no British senior captain at a point in his career to be given one of our newest and most capable battleships who would simply give up on maintaining his ship's appearance. They had pride, with or without a war on. 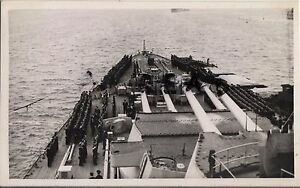 Giving over your KGV class battleship's appearance - particularly when the feature being surrendered is a concealment measure - due to some water washing over the bow would imply things about a man's character which would ensure he never stood on the bridge of a destroyer, never mind a battleship. Sorry, but I do not find "giving up" even remotely credible. If it was a real effect seen in the photos, it was deliberate. The decks took a day or two to darken but much more effort to strip back to bare wood. Not being able to put men over the side to paint the hull is one thing, but to give up on maintaining the main deck is unthinkable. This was the Royal Navy - who considered themselves the finest Navy in the world and certainly the most oldest and most experienced. The pride in that service amongst the Officers particularly cannot be overstated. [quote="pascalemod"][quote="SovereignHobbies"]I think he's saying you may be seeing a reflection forward of the first breakwater. [quote="SovereignHobbies"]I think he's saying you may be seeing a reflection forward of the first breakwater. That doesnt make sense to me. The focsle is light in color in second picture. You are saying it is just so exactly wet that it appears super bright, while the rest is dark? That doesnt sound very plausible to me. Possible, but look at that photo nr2 and tell me what your gut reaction is. Explain away your theory, or just plainly call out for a much different color. Moreover the picture shows seas fairly calm. The deck is not wet at all in other areas. Looks to me like a strong evidence that at some point in time the ship had unpainted focsle. All evidence suggests the decks were darkened. Whether by paint or a dark stain is not something I think can be distinguished, but it is clearly not light, bright planking. Yet what about these photos then? (attached - some is 1944 granted, not 1943). Look at the second photo (click on it, resolution is ok). You can notice the sharp contrast. First photo Im not sure of - it could just be reflecting wet surface as after first wave breaker it is also a bit white. Usual disclaimers on WW2 photo quality etc apply. Cant say I yet 100% agree these are imaginations of some modelers there, the ship has a clear break in color. This was posted to me by a guy who built DoY on a russian forum but he said he was docked points on championship for painting it this way. So there is that evidence he gave for defending his view. Guys, need help with deck photos of Duke of York - that shows unpainted focsle and painted main deck in dark grey beyond the first wave breaker. Do we have this picture? I could swear i seen it but on this thread. Many builds of DoY address this by leaving the fwd part unpainted (I guess paint didnt really hang on there) and the remainder in dark grey. COuld be super helpful to me to have the pic so I know Im not commiting some error building my 1943 Pontos DoY. I don't remember ever seeing this on a real photograph. I suspect it is some "artistic effect" invented by a modeller and copied by others. OK . but the deck WAS painted, wasn't it? 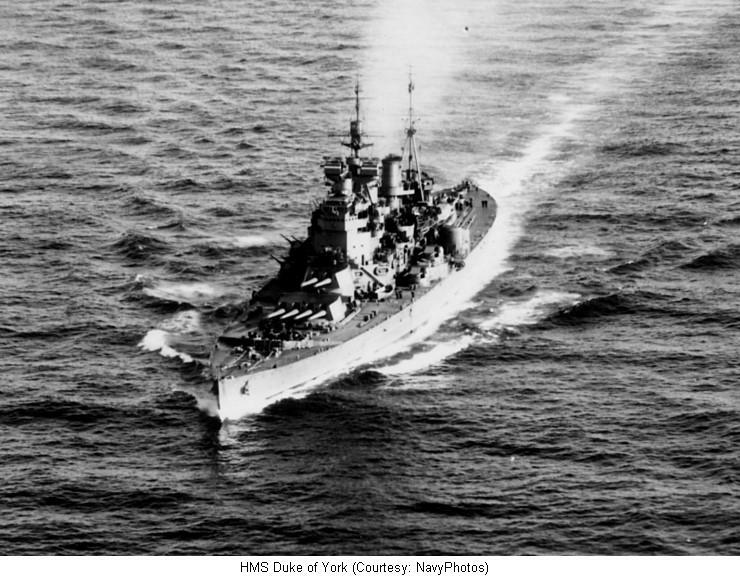 [quote="SovereignHobbies"][quote="pascalemod"]Guys, need help with deck photos of Duke of York - that shows unpainted focsle and painted main deck in dark grey beyond the first wave breaker. Do we have this picture? I could swear i seen it but on this thread. [quote="pascalemod"]Guys, need help with deck photos of Duke of York - that shows unpainted focsle and painted main deck in dark grey beyond the first wave breaker. Do we have this picture? I could swear i seen it but on this thread. In front of A-turret: 2 3-tons winches, one on either side. Don't see any more on the plans. Great work on those Carley floats!! I made only a few and KGV needs lots, so casting this is certainly a great way have 'lots quickly'! I think you are talking about trash chutes. They keep the upper hull cleaner. Doing some good work on her!